Today’s exciting announcement from Lomography about Lomochrome Purple is bound to get some people excited and others totally confused. 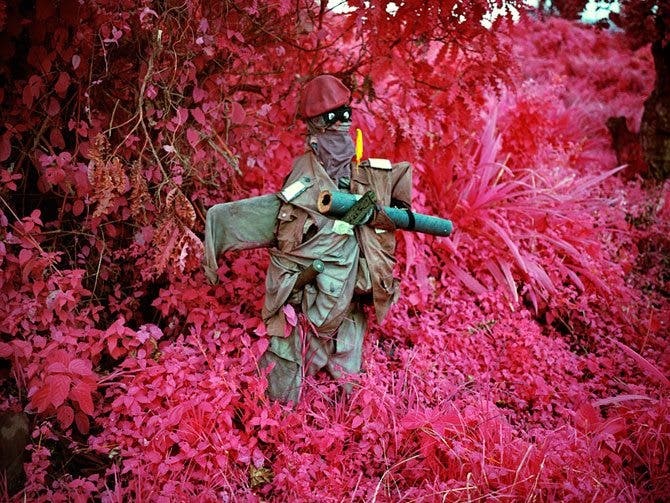 First off, know that it is based off of Kodak Aerochrome–an old infrared film developed for government surveillance. Since it is infrared, that means that there are no real purple fields in the Congo. So we’re here to answer a couple of big questions that you may have about the new film. Check out more information after the jump. False-color reversal film, high dimensional stability for vegetation surveys, camouflage detection and earth resources. KODAK AEROCHROME III Infrared Film 1443 (DISCONTINUED) is an infrared-sensitive, false-color reversal film featuring medium resolving power and fine grain. 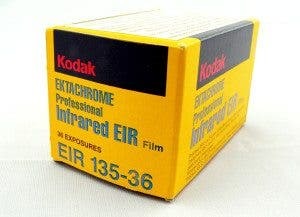 Featuring a 3.9-mil (0.10 mm) ESTAR Base with a gel backing, this film can be processed in modern, continuous-processing machines using Process AR-5. Achieving a negative is easy with Process AN-6 or C-41. Key Applications: This film is intended for various aerial photographic applications, such as vegetation and forestry surveys, hydrology, and earth resources monitoring where infrared discriminations may yield practical results. 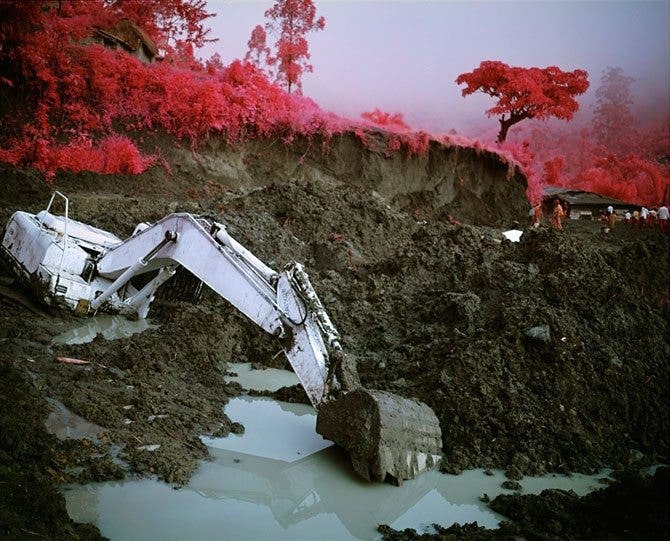 If you put a yellow filter on your lens, you should rate Aerochrome to ISO 400. 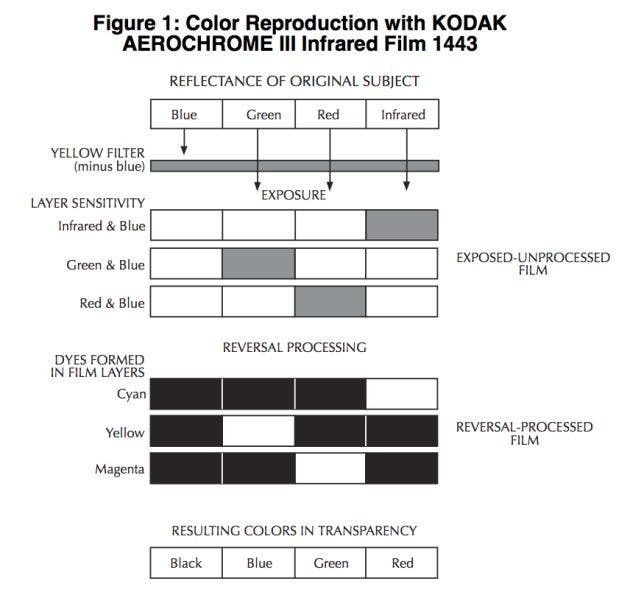 However, Aerochrome is designed to be processed in AR-5 chemicals with E-6 the nearest easily available alternative. If you want to cross-process in C-41 then it’s ISO rating changes to around 320.
Who is a Famous Photographer that Has Used it? 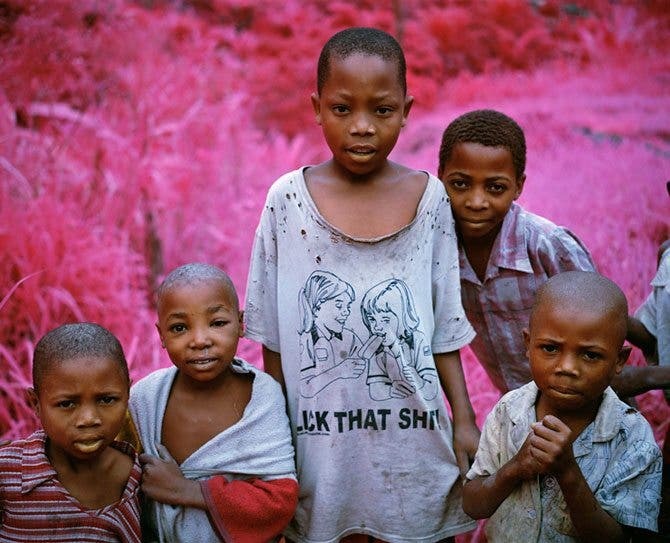 Richard Mosse is one photographer whose photos went viral a while back on the internet. 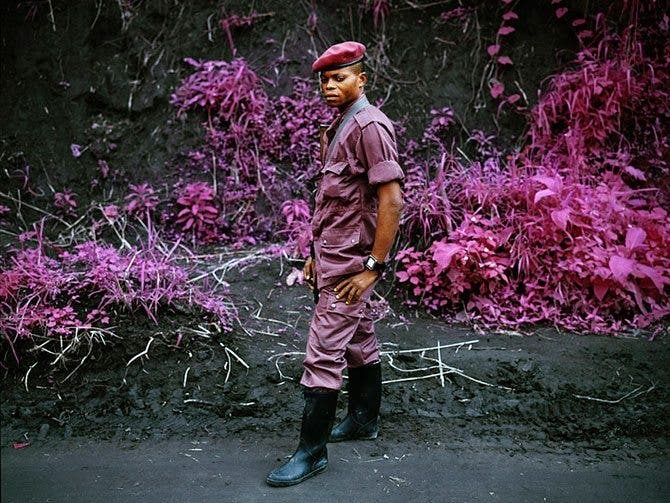 Mosse decided to go to the Congo and document the way of life there. 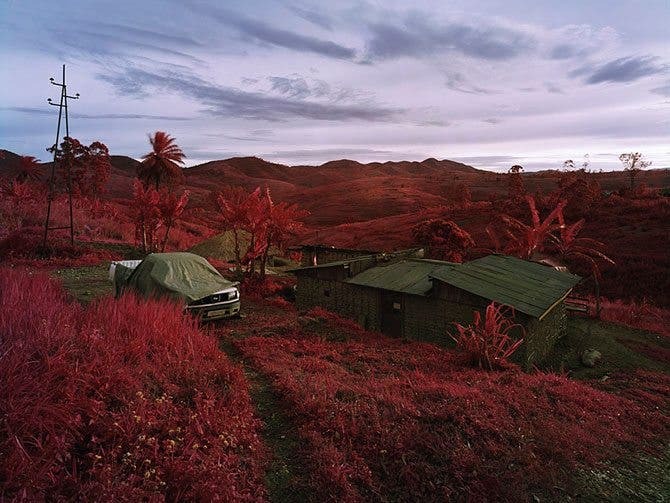 Since the nation is dominated by shades of green, he decided to render the opposite by shooting with this infrared film. 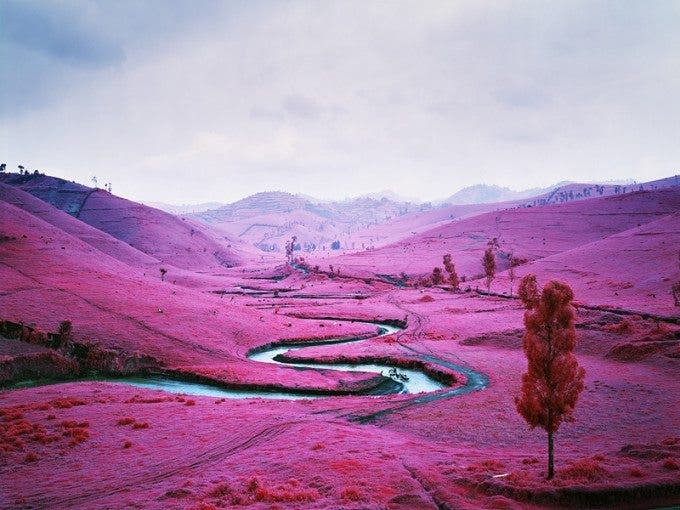 Shooting with infrared film is tough to begin with, but this project shows Mosse’s mastery of this fine art. 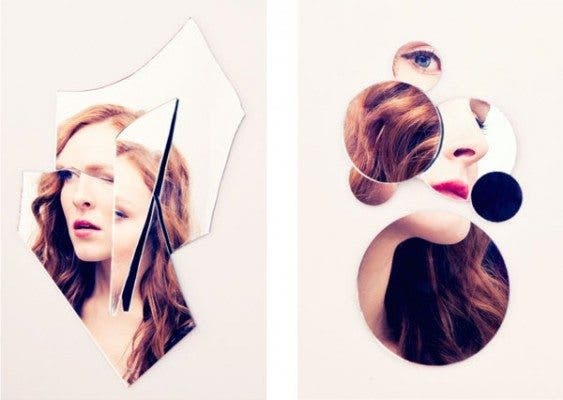 Here are some of his photos from the Boston Globe and more. 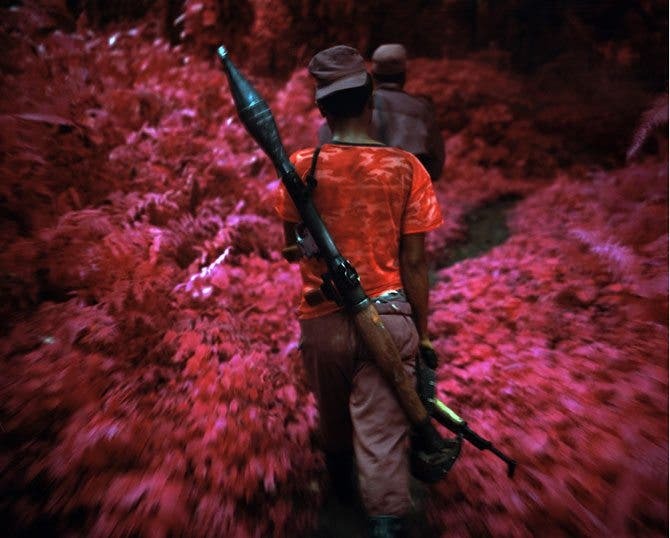 Specifically, Richard has two projects that seem to primarily use Aerochrome: Infra and the Enclave. 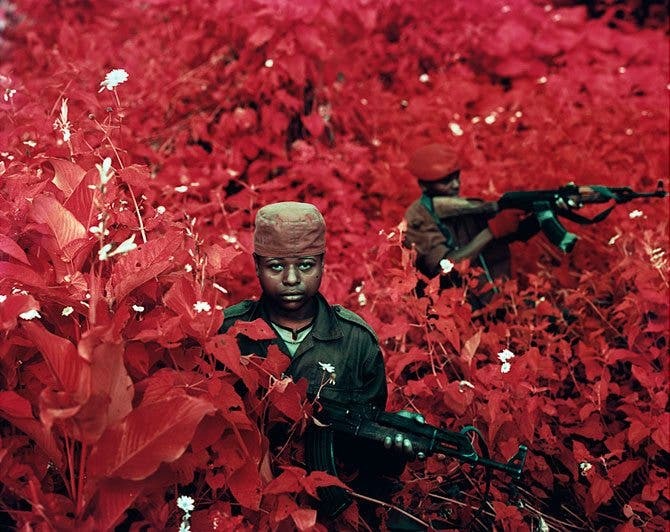 All images belong to Richard Mosse. Where are Some Other Photos? 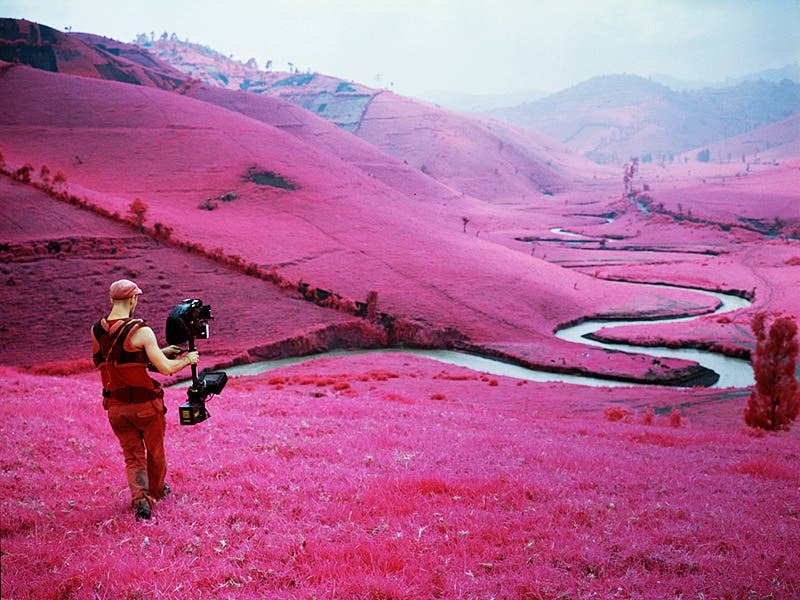 Flickr and Lomography have loads of photos shot with Kodak Aerochrome. Flickr has a group dedicated to the film though it is extremely small. If you’re a bit hungrier, head to Tumblr where loads of shots are curated. Lomography even has a user review of the film. 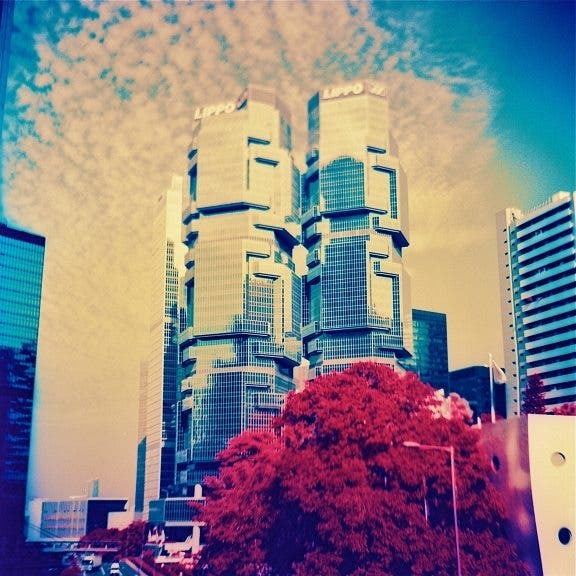 Despite the fact that Lomo may have a smear against them because people think of their cameras as mere toys, their users have created some extremely inspiring work with the film. But if you’re a real stickler for quality, go to 500px. Why Did Lomography Bring it Back? There has been a demand for this film and although we don’t have comments from the company yet, we believe it may have been tied to the rumors of them being a potential suitor to Kodak’s emulsions. 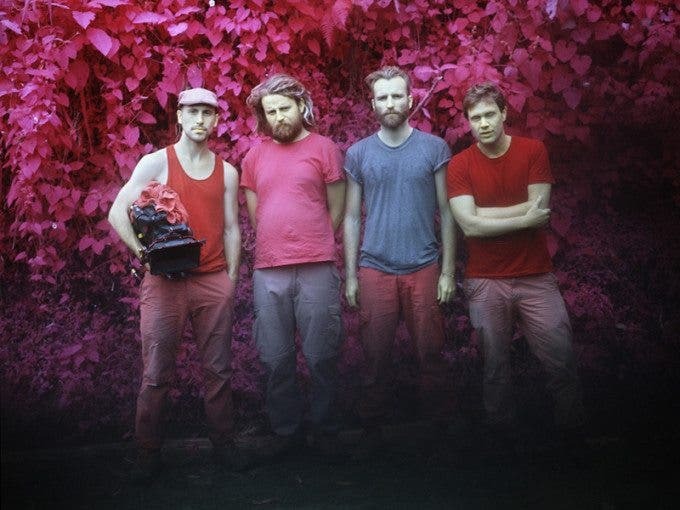 The film is even color negative! More information can be found in this PDF, but here’s the breakdown. 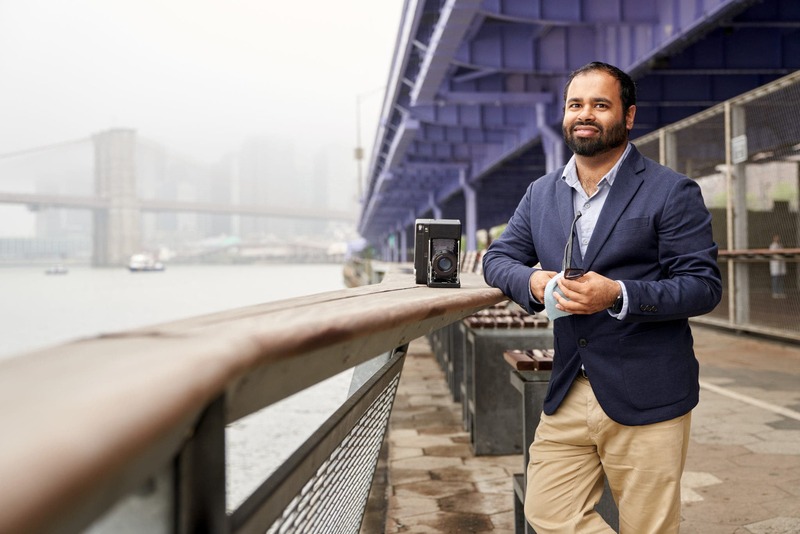 It’s tough to get your hands on, but Believe in Film seems to have some. It gets even weirder when red, blue, or green filters are applied as is explained by Alternative Photography.